Disclaimer Notice: The Lagos State University, LASU Admission Process for UTME and Direct Entry Students is Yet to Commence for the 2018/2019 Academic Session. This is to inform our prospective students and the General Public that the admission process of the Lagos State University for the 2018/2019 Academic Session has NOT commenced. Concerned individuals are therefore advised to disregard notices advertising the commencement of the LASU 2018/2019 Admission process. Please be informed that the University will use it's official website: www.lasu.edu.ng and other official social media handles as well as National Newspapers to make the announcement once the 2018/2019 admission process opens. 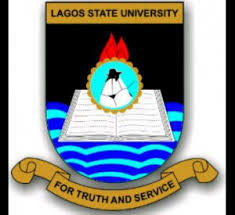 The Page LASU Post-UTME/DE Admission Screening Form - 2018/19 will be updated to get you inform once sales of form commences. We are LASU we are proud!